ACF Real Molinillo dominated Green Stallions FC to top Group B and qualify for the semifinals. 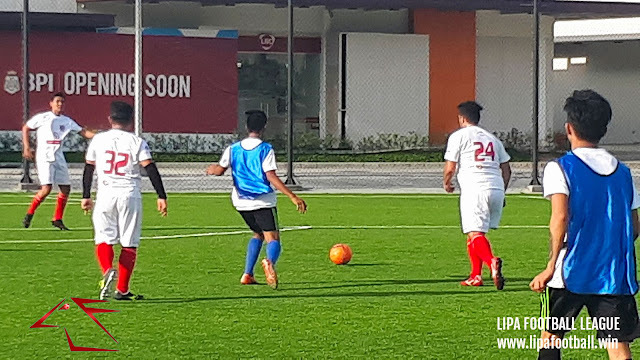 Lipa City, 28 January 2019 – ACF Real Molinillo and Mentors FC booked their semi-finals seats in style after yesterday’s pulsating final round of group matches played at the Aboitiz Pitch of The Outlets at Lipa. 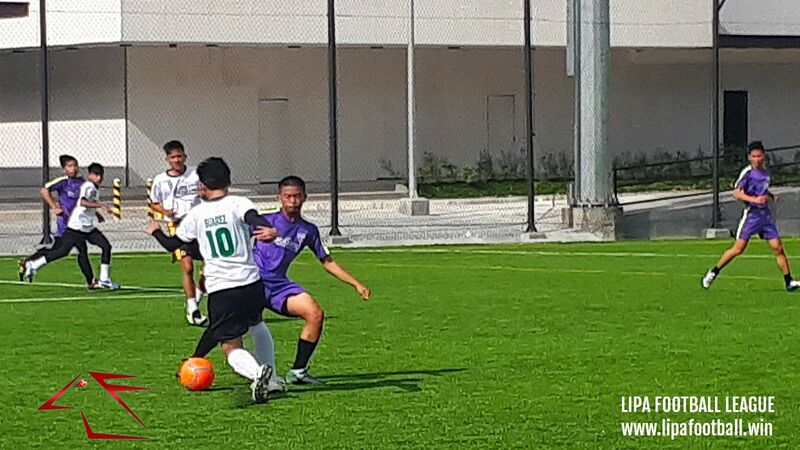 Idle La Salle FC, who had completed their group matches, had the Mentors to thank to be able to keep its runners-up place – and semi-finals seat – in Group A. Prior to Round 5 of LFL action, Group A had really complicated permutations, the results of the final matches of which could have sent any of three teams – Mentors, La Salle and Legends FC – packing their bags early. Had Legends managed to defeat Mentors by one goal, the latter needed to score at least 4 goals to be able to sneak through and send La Salle home. As things happened, Mentors did score 4 in a dominating performance that saw Legends FC chasing shadows. Glenn Bulaqueña opened the goalscoring for the Mentors with a brilliant diving header from off a corner. 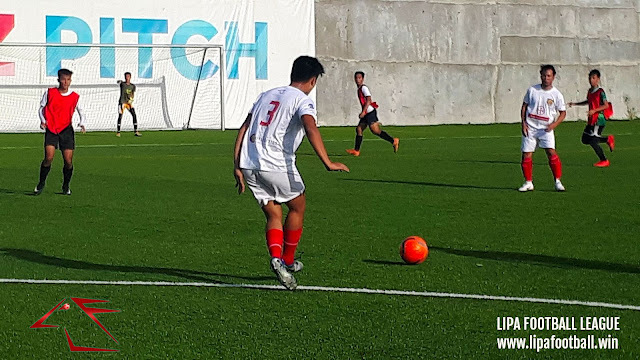 Richard Brillantes pitched in with a brace before Bulaqueña completed the scoring for the Mentors, who topped Group A with maximum points. Mentors FC turned on the style against Legends FC to top Group A.
Allen Joven scored Legends’ consolation goal, but the loss meant that idle La Salle qualified for the semis without having to kick a ball, the latter’s nine points ensuring that the youngsters finished runners-up to the Mentors. 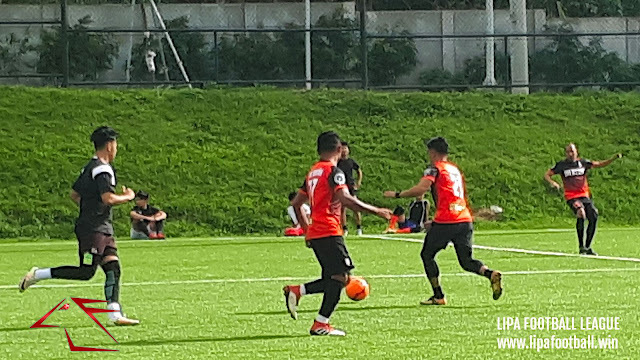 In Group B, Real Baraco faced the tall order of overcoming ACF Real Molinillo’s 17-goal advantage in goal difference to pip the latter for a semis seat, but nearly did so after a 15-nil demolition of Lipa Emmanuel FC in yesterday’s early kickoff. Javier Ramos Jr. was in top goalscoring form, hitting 5 goals to lead the guest team from Batangas City. Left-sided winger Nico Maguddayao also hit hat-trick form with three with further goals coming from Jared Mananquil, Samuel Samaniego, Piolo Alcantara, Cedric Asi and Daniel Aungon. An unfortunate own goal from Kyle San Francisco of Lipa Emmanuel meant that a three-goal win by table-topping Green Stallions FC over Real Molinillo would send Real Baraco through to the semi-finals. Real Baraco humiliated Lipa Emmanuel FC to turn the heat up on Real Molinillo, who nonetheless qualified for the semis. In the end, Real Molinillo, who had started to hit form in the previous round’s 14-nil rout of Kings FC, continued where it left off with another dominant performance over erstwhile top team Green Stallions FC than the 2-1 scoreline suggested. Eldrich de Villa opened scoring for the Royal Mill in the first half, with Joseph Victor Medina doubling his team’s lead in the second. The scoreline would have been more reflective of Molinillo’s dominance had Medina, who missed chance after clear chance, not been so profligate. But after the Green Stallions cut the deficit to one goal after the dangerous Gerard Pena scored his eighth goal of the season, the Royal Mill jacked up the tempo and were never in danger of losing the match. In yesterday’s matchup between two winless clubs, Coffee Millers consigned defending champions FC Reigning Kickers to their fourth and final loss of the season with a dominant 5-1 victory. Fil-Iranian Eric Sedighpour scored a hat-trick for the Millers with Xerxes Vatcha and Jan Chrisandre Palad scoring a goal each. Jhon Lester Torres scored the Reigning Kickers’ consolation goal. Defending champions FC Reigning Kickers wound up a miserable season without a win after a 1-5 loss to the Coffee Millers. In February’s crossover semi-finals, Group A’s top club Mentors FC meet Group B’s runners-up team Green Stallions FC. In the other matchup, Real Molinillo faces Group A runners-up La Salle FC. The winners of both matches advance to the finals, to be played on the last Sunday in March. The losers play off that same day to determine third place.